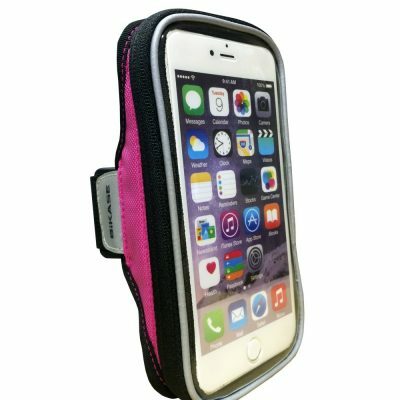 Durable, weather resistant case made of thermoplastic polyurethane and water proof zipper. Quick release mounting system will fit regular seat rails and up to 10mm carbon rails. Interior mesh pocket, elastic band, and lining to keep contents organized.  Easy to clean because molded case does not absorb mud, dirt, or water. Size is 3.5” x 4.0” x 6.0” with 37 cubic inches of storage capacity. 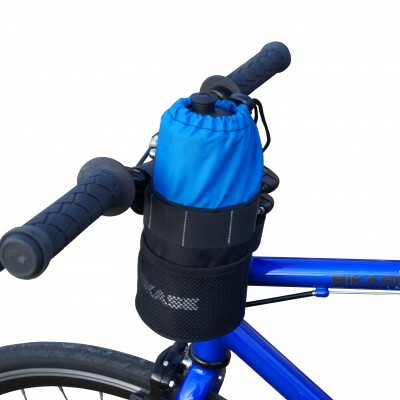 Want the Wasp Seat Case to attach to different bikes? Make sure you grab the Wasp Z-Bracket PN 2006. 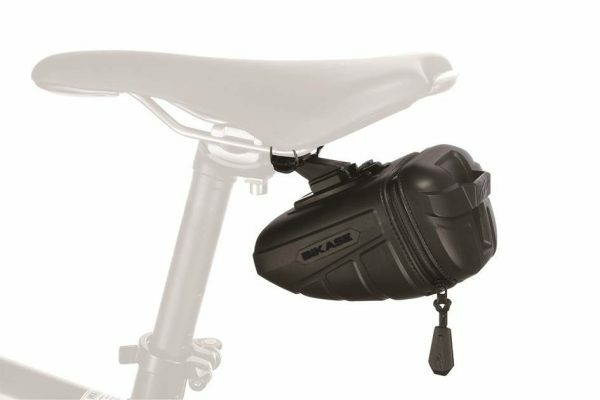 The Wasp Bike Seat Bag is a durable, weather resistant case made of thermoplastic polyurethane and has a water-proof zipper. 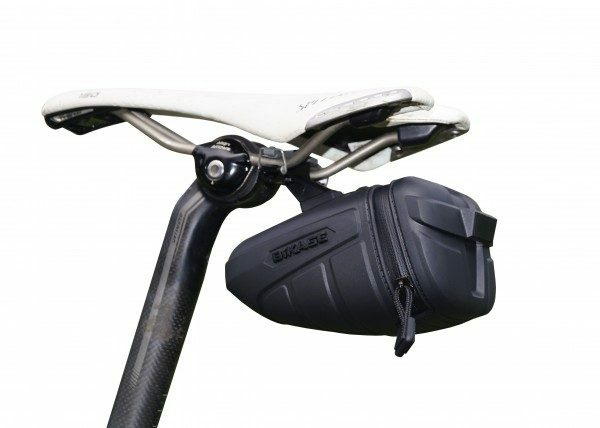 This case has a quick release mounting system which will, in turn, fit on regular seat rails and up to 10mm carbon rails. The interior mesh pocket, elastic band and lining are there to keep contents organized. The bike seat bag is easy to clean because the molded case does not absorb mud, dirt or water. Size is 3.5” x 4.0” x 6.0” with 37 cubic inches of storage capacity. 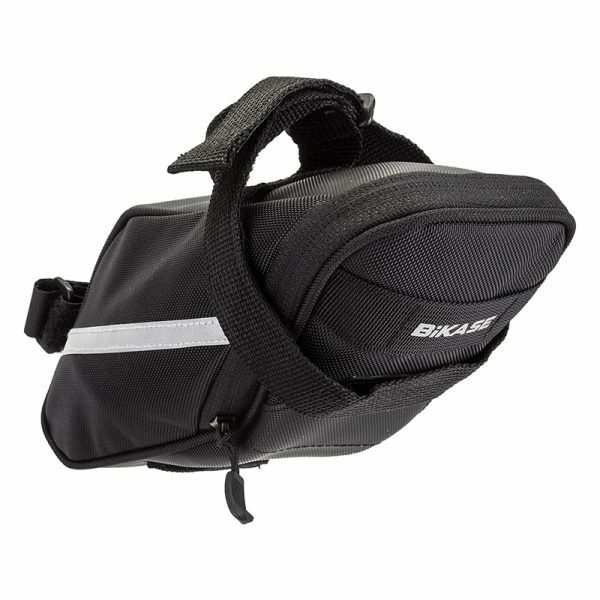 View all of our bike saddle bags here.